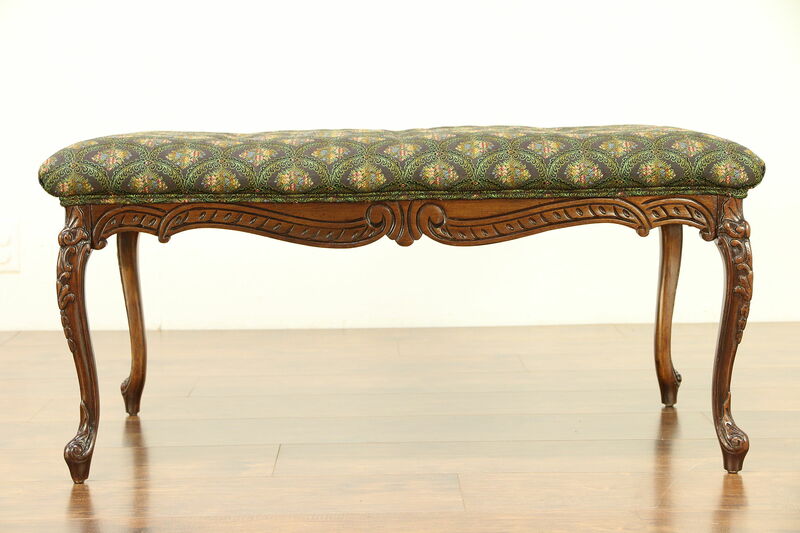 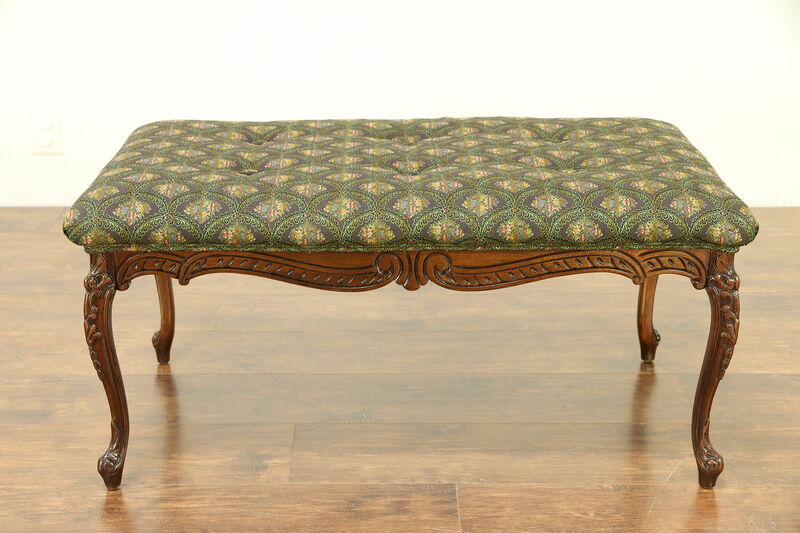 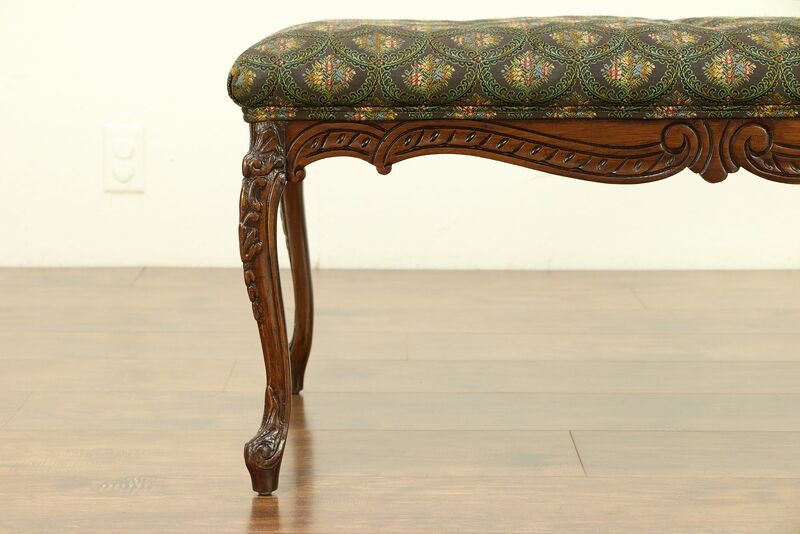 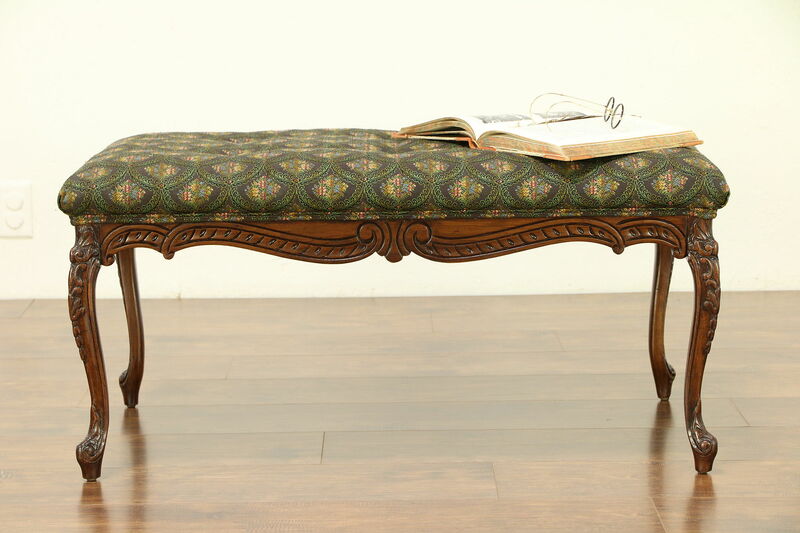 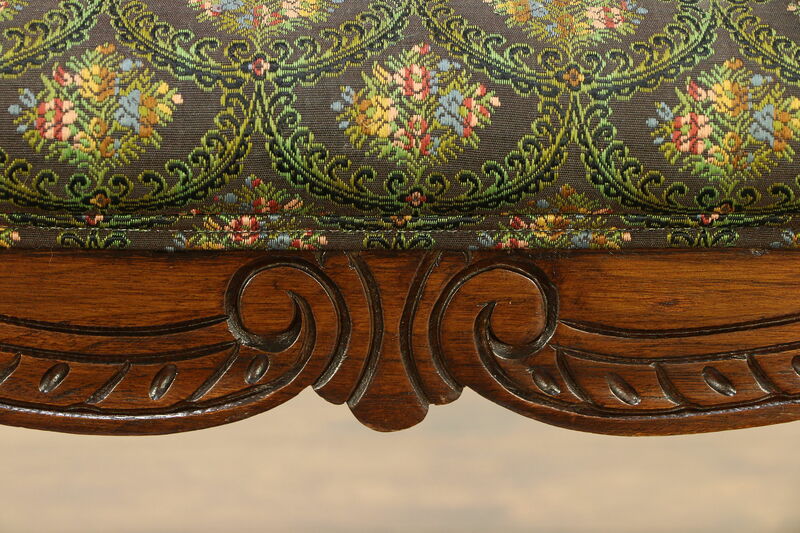 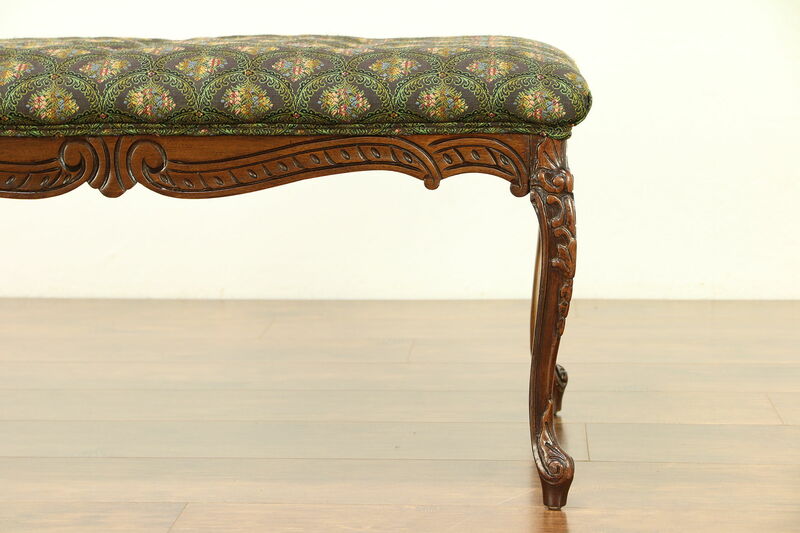 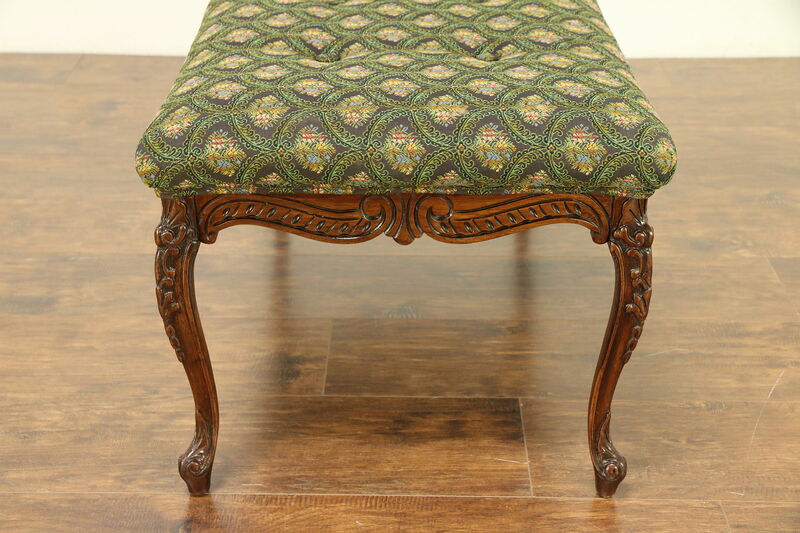 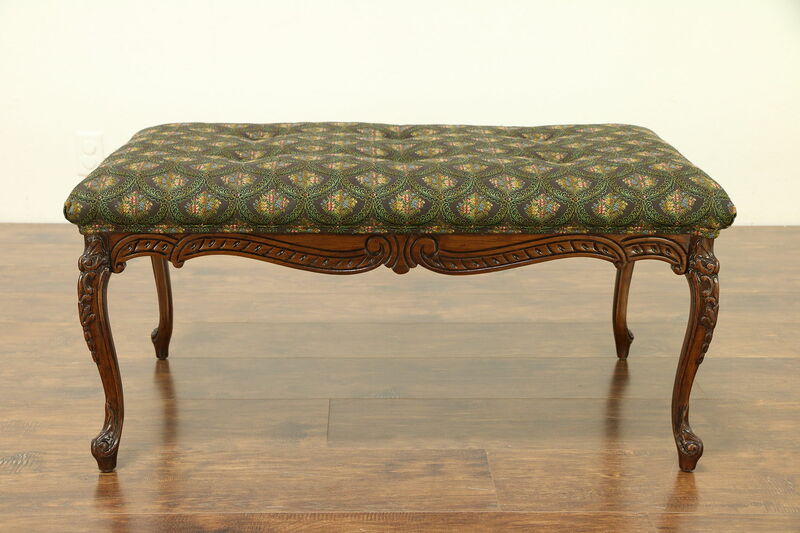 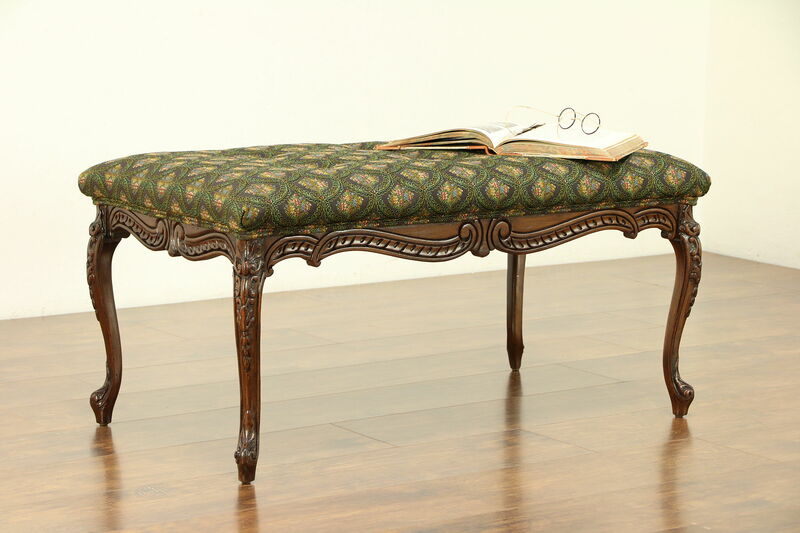 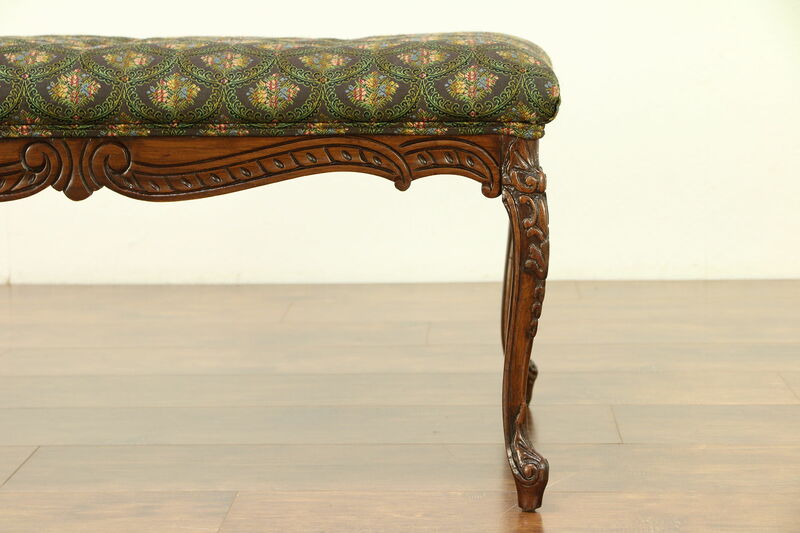 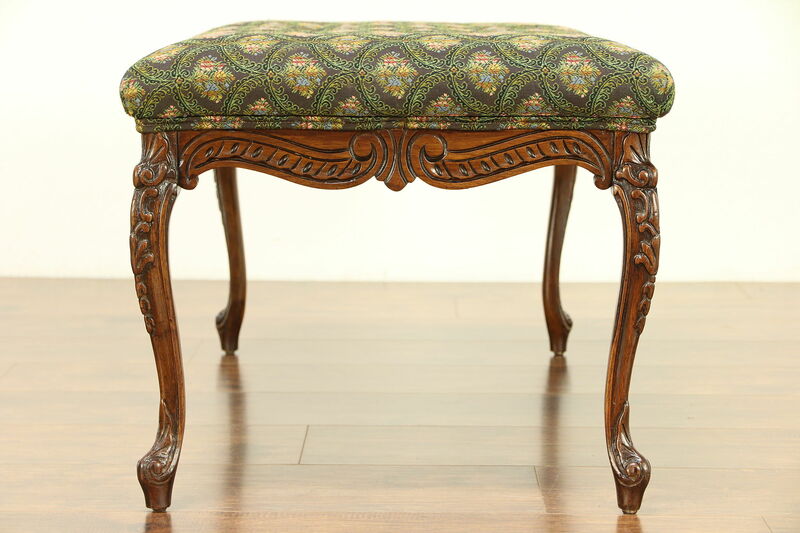 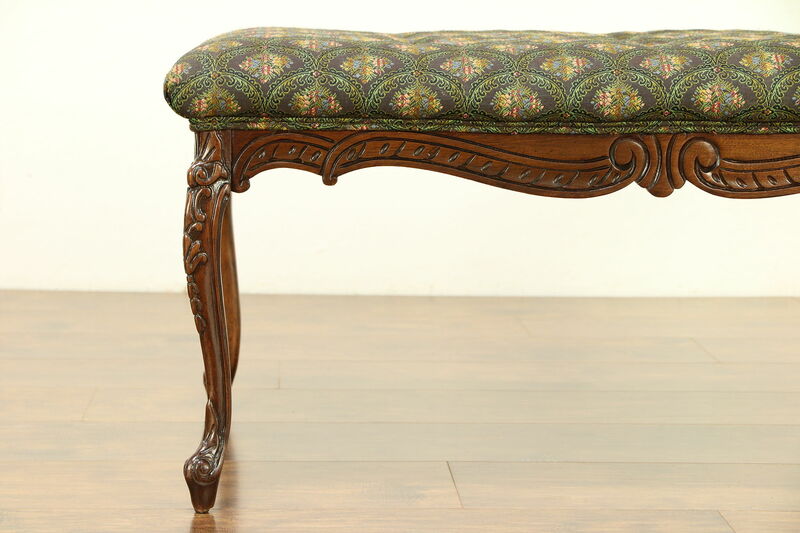 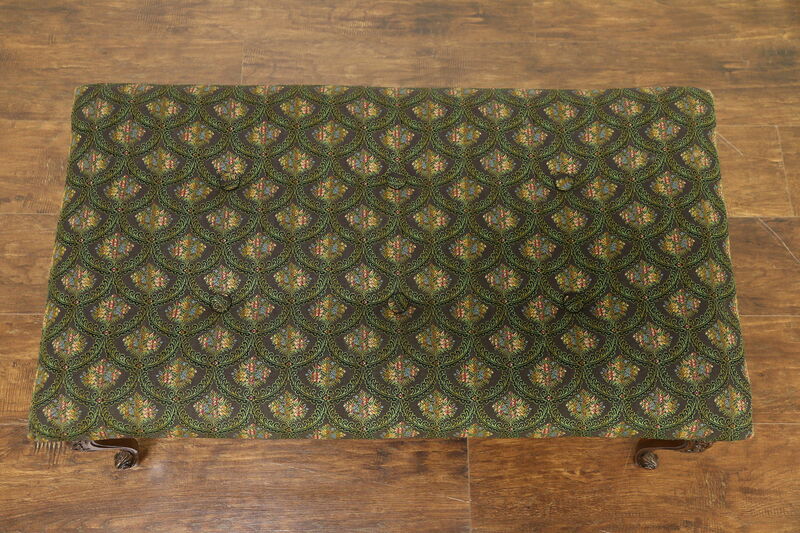 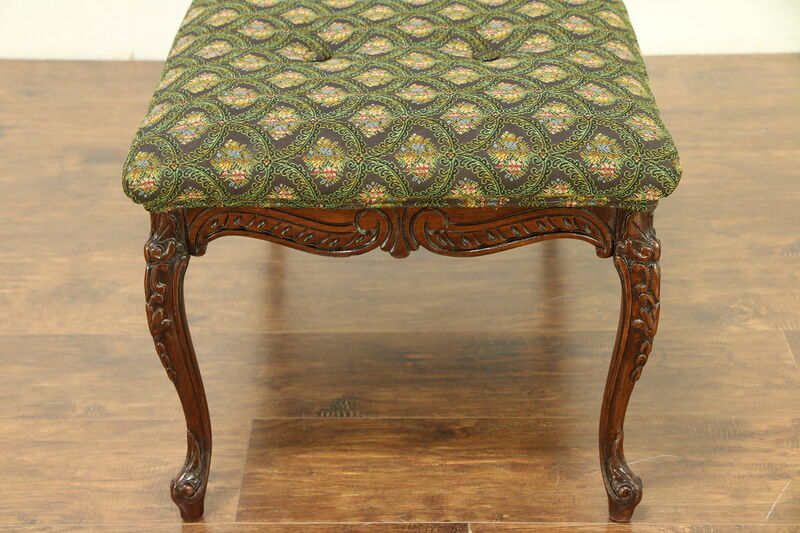 Richly carved of solid walnut about 1925, this bench has tufted upholstery in very fine condition. 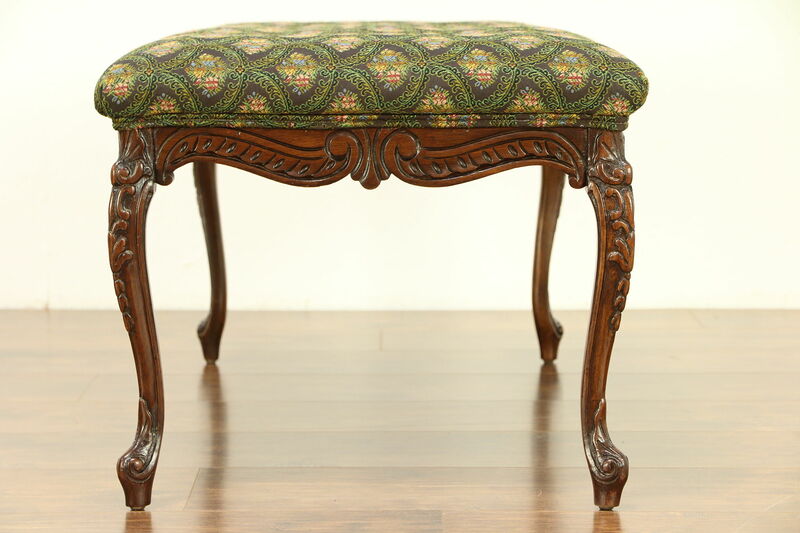 The restored finish is in excellent condition on the graceful but sturdy base. 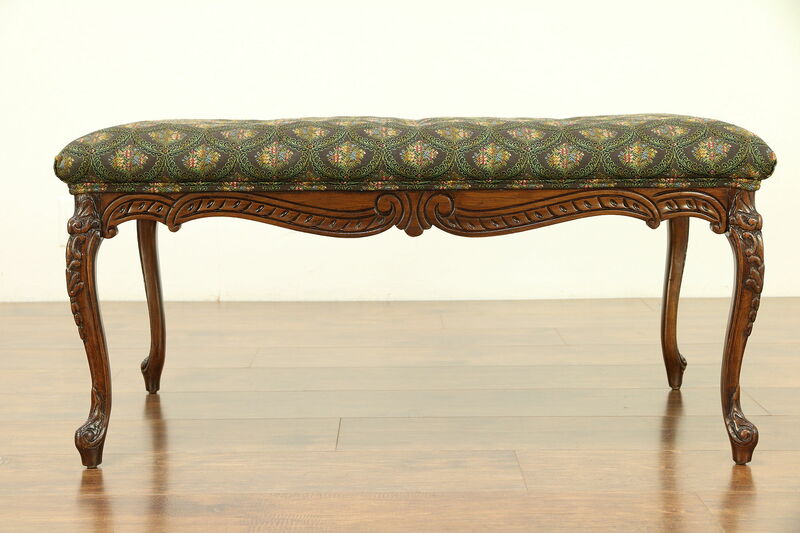 American made antique furniture, size is 36" long, 21" wide and 17" tall.